The Family Medicine Student Research Externship provides a stipend of $3,600 for 4-8 weeks (or equivalent) to conduct original research with a family medicine faculty sponsor. The program is generously funded by the Foundations of the Washington State and American Academies of Family Physicians. (Some funds may be restricted to projects related to Washington State.) Students must beAAFP members. Family Medicine Student Research Externship studies usually meet the III (Independent Investigative Inquiry) requirement of the UW School of Medicine. Students who have completed the III requirement are still eligible for the Externship. Externship studies usually involve the collection and analysis of original data, or in-depth analysis of secondary data. The student must make substantial intellectual contributions to the investigation. Students may either design an independent study, or work in an established program of research. The most important and time-consuming part of research is the planning process. Please start as early as possible. It is the student’s responsibility to secure a faculty sponsor and develop the study proposal. If the study involves information about human subjects, tissue or medical records in any form, the student must secure Human Subjects approval prior to contacting any subjects. Most students elect to do the externship over the summer between their first and second years of medical school, but it may be done at any time your schedule allows. 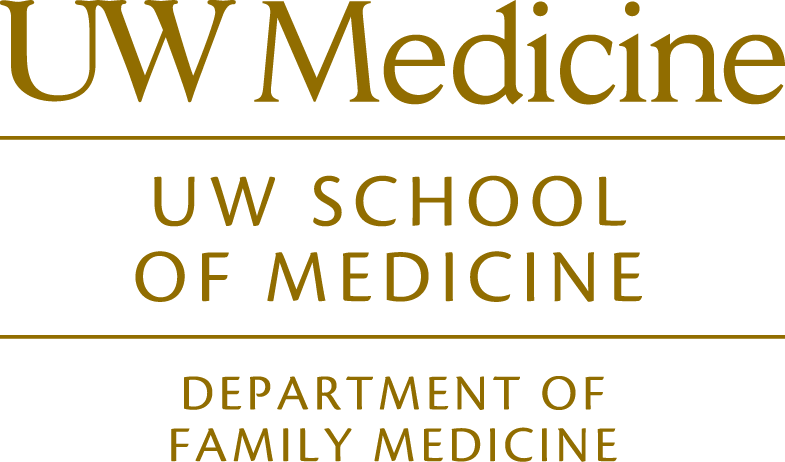 Secure a faculty sponsor associated with the UW Department of Family Medicine. You may have other cosponsors. Students may consider having a community-based sponsor and a University-based sponsor to provide complementary expertise. Secure UW Human Subjects approval, if applicable for your study. Secure UW-SOM III Committee approval, if you intend to meet the III requirement with the Externship study. Human Subject protection, online training. Devote the proposed time and effort to your study, as negotiated with your faculty sponsor. Complete the required brief questionnaires before and after the externship experience. Submit a written progress report on the study by the first day of Autumn Quarter. Present an academic poster on the study at the Annual Medical Student Poster Session in Seattle in November following the externship. Make a formal study presentation at the Carmel meeting of the Wester Medical Student Research Forum (if selected to present). This annual meeting is held in Carmel, CA in February. The UW-SOM Dean’s Office pays for travel expenses. In all presentations and publications related to your externship study, acknowledge the support of the WAFP Foundation and AAFP Foundation.